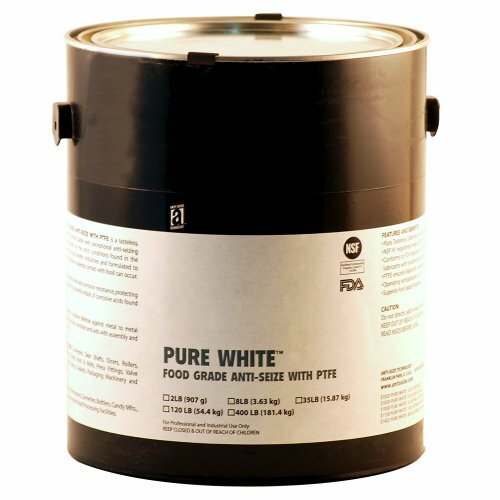 Pure White contains premium-quality Aluminum Complex food-grade grease fortified with PTFE for enhanced lubricity. It is odorless and non-toxic with exceptional water resistance and lubricating properties. Pure White is specially designed for the strict conditions found in the Food/Beverage and Drug/Cosmetic industries. Pure White Meets requirements where incidental contact with food can occur. Its Anti-Rust and Anti-Corrosion properties are vital to protect equipment from harmful attack of corrosive acids. If you have any questions about this product by Anti-Seize Technology, contact us by completing and submitting the form below. If you are looking for a specif part number, please include it with your message.